We have all been there — sending a gossipy work email after an eventful weekend. Rainbow Rowell takes this oft-weekly tradition and turns it into a hilarious comedy of errors in her debut novel, Attachments. 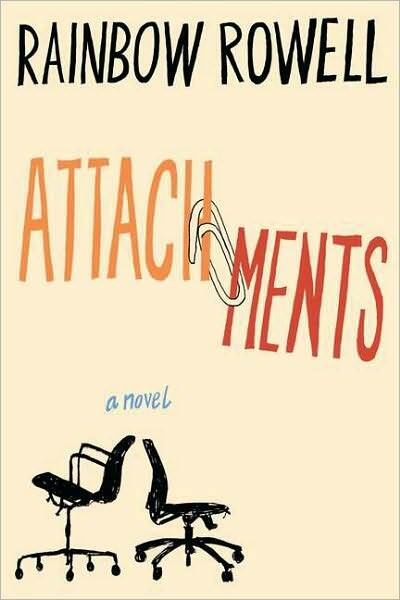 Out in paperback now, we couldn’t get enough of Beth and Jennifer’s email antics — which is why Attachments is a must-read. Beth and Jennifer are best friends, and what’s more is that they work together in a newsroom. Of course they know that their company email is monitored, but they don’t actually believe anyone is going through and reading each of their messages. So they don’t hesitate to send gossipy emails to one another throughout the workday. Beth has been chasing her commitment-phobic boyfriend, Chris, for far too long and can’t wait to unload on Jennifer via email. Meanwhile, Jennifer’s husband, Mitch, is obsessed with everything baby, and she doesn’t know how to deal with him. Together, Beth and Jennifer get one another through their difficult spots. But what they don’t realize is that the new company IT guy, Lincoln, actually is monitoring their emails. At first, he believes their personal back-and-forth to be harmless fun and he allows it. But as he continues to read about their lives, he becomes more and more intrigued by the two women and their soap-opera-style messages to one another. As Beth and Jennifer try to come to terms with the problems in their lives, Lincoln tries to work up the nerve to introduce himself to them. After all, he knows the most intimate details of their personal lives. But how can he admit to them he’s been spying on them and still win the heart of the woman he’s unwittingly fallen for?